Learn to use the world's most popular word processor for creating documents and formatting text, now available on the Macintosh. The world's most popular word processor for creating documents and formatting text is Microsoft Word. Now you can learn to use Word 2011, the version specifically designed to work with Apple's popular Macintosh computers. Whether you're new to Word or you're familiar with Word for Windows, you'll quickly master the program's user interface and be able to create pages from your first lesson. In addition, you'll learn how to easily transfer documents between Word 2011 for Mac and any version of Microsoft Word running on Windows so you can share documents with friend and coworkers effortlessly. If you're not familiar with any version of Word for Windows, don't worry. This course will guide you through the basics of using Word 2011 for Mac, starting with creating a document, typing and editing text, and formatting your text with different colors, fonts, and font sizes so you can truly express yourself. You'll even learn how to design individual pages and add pictures to your documents. You'll also learn how to save your documents and how to print all the pages in a document, or just the one or two pages you really need. You'll even learn how to customise Word so it works and looks the way you like. Finally, if you need to type foreign languages that require accent marks, you'll learn how to do that too! 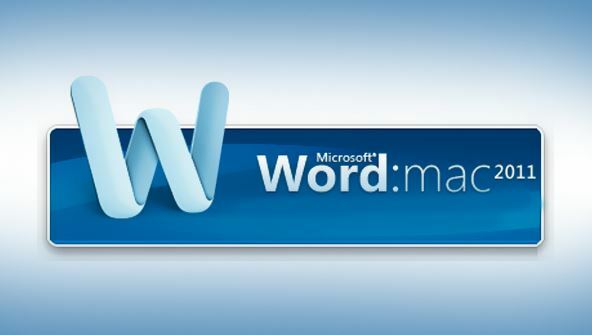 By the end of this course, you'll be comfortable using Word 2011 to create everything from simple letters to reports. From the moment that you enrol in Microsoft Word 2011 for Mac you will become an integral part of our learning community. You will experience the perks of classroom studies such as chatting by the water cooler or sharing your opinion on a specific task, all in your own home.